당사는 2002년 설립되어 하프미러 진공증착, 스마트미러, 터치스크린, 디지털사이니지 등 스마트한 디스플레이 제품 제조를 전문으로 하고 있습니다. 하프미러와 터치스크린, LED 및 LCD 와 함께 구성하여 스마트한 미러 디스플레이 제품 제조 및 수출을 주력으로 국내외 다수의 대기업 및 관련 기업들과 활발한 기업활동을 이어가고 있습니다. 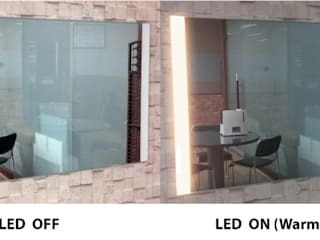 We are an Global Leading company of Smart Mirror Display "AT Optronics Corporation" We ATO (Advanced Technology of Optical Electronics) Established 2002, We have pride and passion of very first, very best for half mirror, Smart mirror display, Touch screen, Digital signage business field for 16 years. We always do our best efforts and sincere attitude to the customer who is in close relation with us for making any of success as requite. 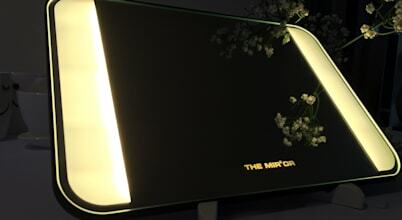 Surely we promise to be your future-oriented success partner that will be able to jump over existing commonness through smart and innovative display total solution like Smart mirror, LED, LCD, Touch screen, Hologram, Sensor module, DID and Digital Signage. 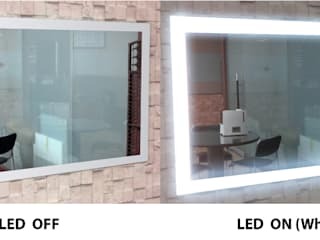 We are being recognized around the world for the best quality and good designed products through our own brand name ATO, ATO Display, THE MIRROR and ADGEAR world widely. Small but Strong that is our goal !! A journey of a thousand miles must begin with the first step !! Just feel free to knock on the door of ATO, it does not matter small quantity, small money of order at all !! Kindness, Faithfulness and Sincerity, that is our another business solution for the customer !! 가을밤의 은은하고 아름다운 정취를 내는 데 조명만큼 효과적인 인테리어 요소도 없을 것이다. 침실에 배치한 작은 조명 하나로도 공간에 아늑한 분위기를 더하면서 편안한 휴식을 선사해 볼 수 있다. 침실은 무엇보다 지친 몸과 마음을 쉴 수 있는 공간으로 연출해야 한다. 따뜻하고 은은한 느낌의 전구색 조명은 긴장감을 풀어주고 안정감을 주어 아늑한 침실을 만든다.